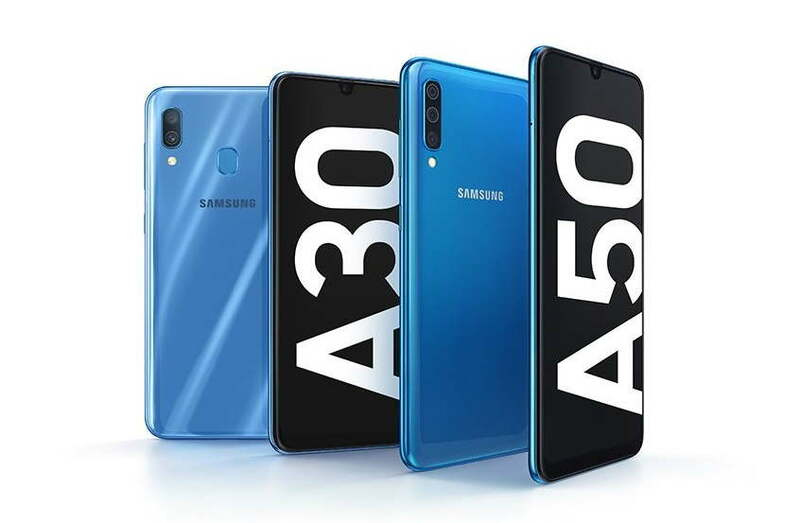 Samsung Galaxy A30 and A50 Budget Smartphone Announced at MWC 2019. Home Mobile Samsung Galaxy A30 and A50 Budget Smartphone Announced at MWC 2019. According to our previous report, Samsung was expected to launch the new Galaxy A series of smartphones, including the Galaxy A10, A30, and A50. But today at its MWC event in Barcelona, Samsung only announced its new Galaxy A30 and Galaxy A50 budget smartphones. The entry-level Galaxy A10 is yet to be officially launched, and we don’t know why Samsung didn’t launch its entry-level Galaxy A10 alongside the Galaxy A30 and A50. However, the new Galaxy A30 and A50, as reported earlier are budget smartphones. Both devices have some similarities and differences in terms of specs and design. The Galaxy A50 and Galaxy A30 both feature a 6.4-inch FHD+ (1080×2340) Super AMOLED infinity-O display with waterdrop Notch. Samsung hasn’t yet announced the pricing and availability details of the Galaxy A50 and the Galaxy A30. However, we expect that Samsung will launch the two new devices in India.